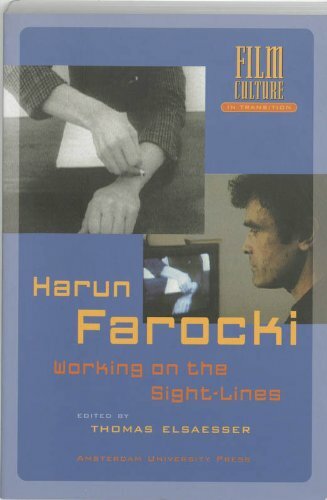 For more than thirty years Farocki has been a filmmaker, documentarist, film-essayist and installation artist. What preoccupies him above all is not so much an image of life, but the life of images, as they surround us in the newspapers, the cinema, history books, user manuals, posters, CCTV footage and advertising. His vast oeuvre of some sixty films includes three feature films (Zwischen den Kriegen/Between the Wars, Etwas wird sichtbar: Vietnam/In Your Eyes: Vietnam, Wie Man sieht/As You See), essay films (e.g. Images of the World-Inscription of War), critical media-pieces, experimental work, children’s features for television, historical film essays (e.g. on Peter Lorre), `learning-films’ in the tradition of Brecht (e.g. Workers Leaving the Factory) and installation pieces (e.g. Still Life). In this monograph, Elsaesser approaches Farocki’s work from different critical perspectives, as well as reflecting on his extraordinary biography. The volume is complemented by interviews, a selection of writings by Farocki and an annotated filmography.